Less than 10 years ago, most mobile users couldn't even conceive of the computing power they'd eventually have in their hands. Imagine — the primary use for cell phones was actually talking back then. And now that our mobiles are more advanced than many desktop computers of that era, what are we doing with them? Well, says Experian Marketing Services' Simmons Connect mobile and digital panel, things actually haven't changed as much as we thought. 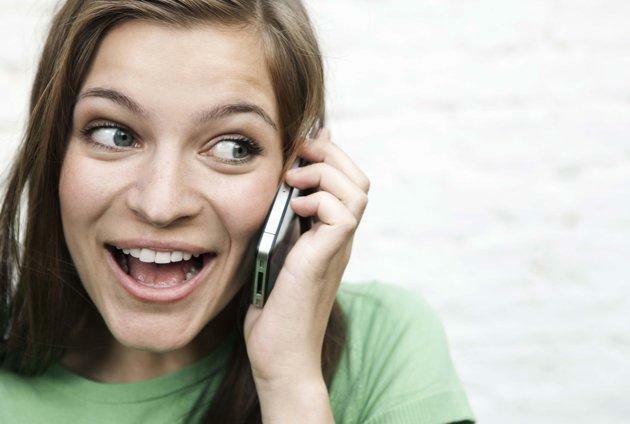 The number one activity among average Americans is still phone conversations. Average adults spend only 58 minutes with their smartphones each day. The figure is surprising, given how obsessed consumers seem to be with their devices, but it's worth noting that it's an average, not a mean, so light users and the technophobic are probably factoring in to drop the number quite a bit. Looks like texting is catching up to talking. It won't be long now before it meets or exceeds that usage. There are also usage differences between users of different operating systems. For example, iPhone users spend an hour and fifteen minutes per day using their device, which is 26 minutes more than typical Android users. As for talking, iPhone users talk less on the phone than their Android counterparts, at 22 percent versus 28 percent. Android users tend to spend more time web browsing on their phones, while iPhone owners are much more often engaged texting, emailing, using the camera and social networking. How many minutes per day are you on your smartphone? What features/apps/activities are you engaged in the most? Weigh in.